List of Scholarships that TNB provides, in an effort to give back to the nation, as well as investing in education. Find out more about study loans, scholarships, loan payment methods as well as how to apply for them. Yayasan Tenaga Nasional offers a limited number of Convertible Study Loans to select, well-rounded Malaysians with good academic standing. Yayasan Tenaga Nasional offers a limited number of Convertible Study Loans to select, well-rounded Malaysians with good academic standing. These study loans may be converted into scholarships if the candidate graduates with top honors from his or her university of choice. The Convertible Study Loan is offered to eligible students who intend to pursue their studies either at a Public Universities (IPTA) or at Universiti Tenaga Nasional (UNITEN). Yayasan Tenaga Nasional (YTN) invites qualified Malaysians to apply for financial aid in the form of a Convertible Loan to pursue study programs in Universiti Tenaga Nasional (UNITEN). 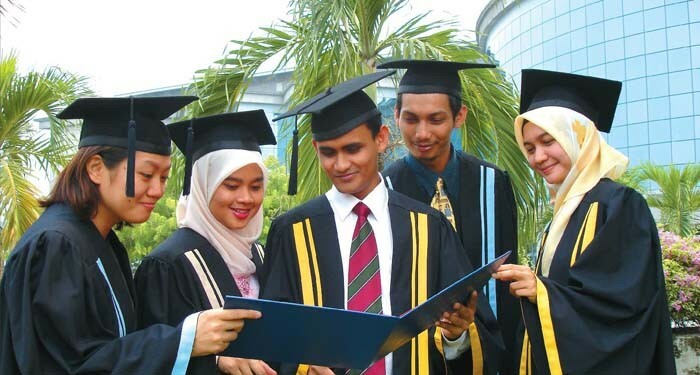 This study loan is offered for all courses offered by UNITEN at Foundation and Bachelor’s Degree levels. Passed Matriculation / UNITEN Foundation Level with at least a CGPA of 2.50 in a related field of study. Must be no older than 23 years old during year of application. Have already been accepted into UNITEN. Loan is limited to two (2) members of the same family at any given time, i.e. one in UNITEN and one in a public university (IPTA). Students currently enrolled in the second/third semester of the Foundation Level are NOT eligible to apply. Students currently enrolled in UNITEN with a minimum CGPA of 2.70 (based on latest examination results) are eligible to apply. Students previously have been terminated from convertible study loan offered by YTN are not eligible to apply. The number of Convertible Study Loans offered is limited. Yayasan Tenaga Nasional (YTN) invites qualified Malaysians to apply for scholarships to pursue study programmes at local public institution of higher learning (IPTA). Find out how to apply for loans or scholarships. Applications can be made online at http://ytn.tnb.com.my/sam *Note: Website is only available when application submission is open. 43560 Bandar Baru Bangi, Selangor Darul Ehsan. Applicants are strongly urged to submit applications well before the closing date. Incomplete submissions / submissions past the closing date will not be considered. If you do not hear from us within three (3) months of the closing date, please consider your application as unsuccessful. Should you have any inquiries, feel free to contact our officers as listed on our Contact Us page. Discover more about the loan payment methods. Bank-in your payment directly into YTN’s Maybank account no. MBB 562263005145. You are also advised to keep a copy of the bank-in slip for your records. Please ensure a copy of your Application For Standing Instruction form is sent to YTN for our records. Please contact us for further information on this specific payment method.